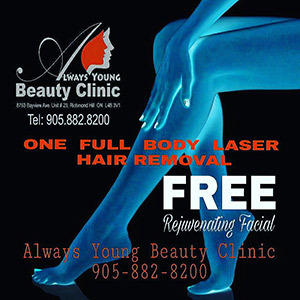 Hair removal procedure has become one of the most common offerings by medical aesthetics clinics today. Forma-tk has developed a range of innovative technologies to offer the most effective and safe hair removal treatments. Forma-tk features hair removal treatments using IPL (intense pulsed light), 808nm Diode Laser and Diode Laser 1064nm Nd:Yag technologies. Due to the advance cooling system, hair removal treatment can be performed without causing skin irritation. The ALD applicator is equipped with a metal surface plate which is cooled to 4°C. Using the IPL laser for hair removal, large areas can be treated considerably faster, increasing the efficiency of the hair removal treatment and allowing more patients to be treated during a typical day. The Magma is a precise instrument that can be adjusted to damage only the hair follicle while minimally affecting the surrounding skin. Lasertrolysis is a method of removing unwanted hair, utilizing laser energy targeted to the hair follicle to cause thermal damage and prevent further hairs from growing. The near-infrared laser light is emitted by the ALD applicator and preferentially absorbed by the pigment located in the hair follicle. The laser is pulsed, or turned on, for only a fraction of a second. The duration of each pulse is just long enough to damage the follicle, while the system’s unique contact-cooling system helps protect the skin by conductive cooling during the laser energy delivery. The Magma Diode system delivers a long wavelength. Enabling the light to penetrate deeper into the skin while better avoiding the melanin pigment in the skin’s epidermis. The long wavelength penetrates into the hair follicle causing only minimal epidermal injury. This fact allows Forma-tk’s Diode laser to be used on all skin types.